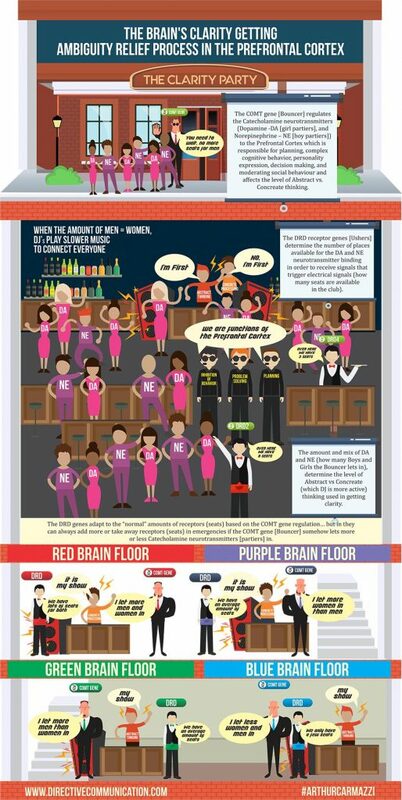 WHERE IS YOUR BRAIN – In this episode find out about the party in your brain… the clarity party in the prefrontal cortex, to be more “scientific”… but in this story of biochemistry… you have the club (your brain), the Bouncer (The COMT gene that regulates neurotransmitters), the Boy and Girl Partiers (Dopamine and Norepinephrine), the Ushers who seat the partiers (transmitter receptors) and the DJ’s who show up for the different party mixes. 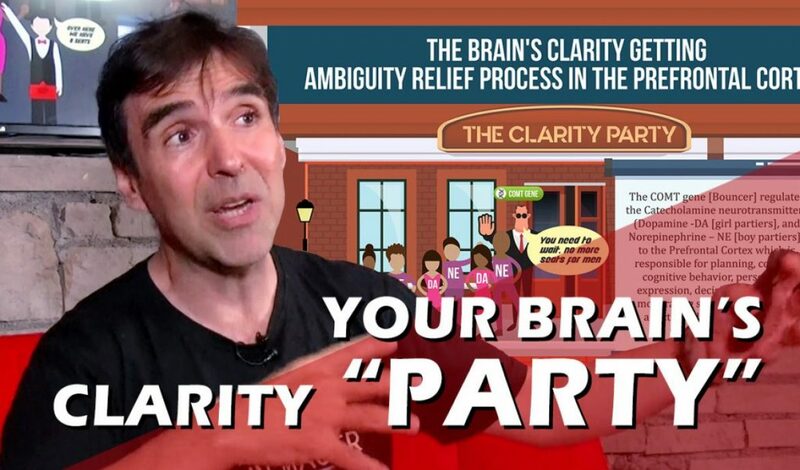 Check out the brain party, it will be fun! One Thing to Improve Physical and Mental Performance by 21% →← Is Your OK the same as My OK?